250mg CBD Oil Tincture per 30ml bottle. Approx. 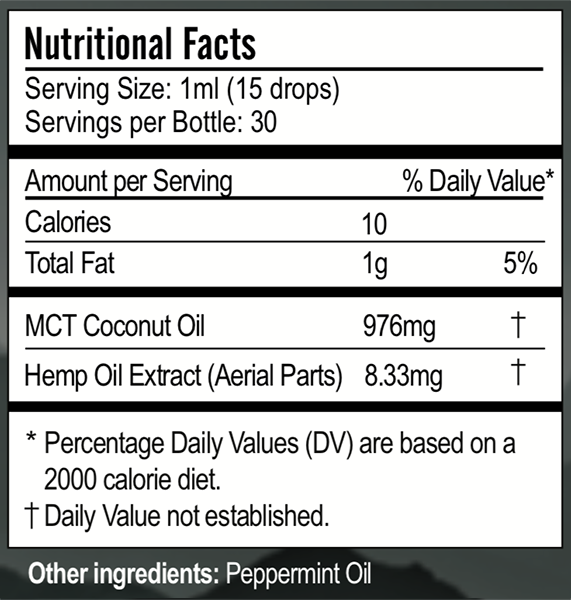 8mg Hemp CBD per 1mL serving. Noble’s Hemp 250 CBD oil tincture is created from organically grown Hemp plants in Colorado, USA and is Supercritical CO2 extracted. This extraction process allows our products to maintain all of the health-supporting compounds of the original hemp plant resulting in some of the purest oils on the market. Our 250 CBD oil tinctures are a hemp CBD oil extract suspension in MCT Oil with a unique all natural mint flavour.